Hand piece with slip joint, non-mechanical hand piece, 5 chisel points, 2 spare springs, 2 sleeves and 1 sheet of rubber. Used for surgical bone and tooth removal. 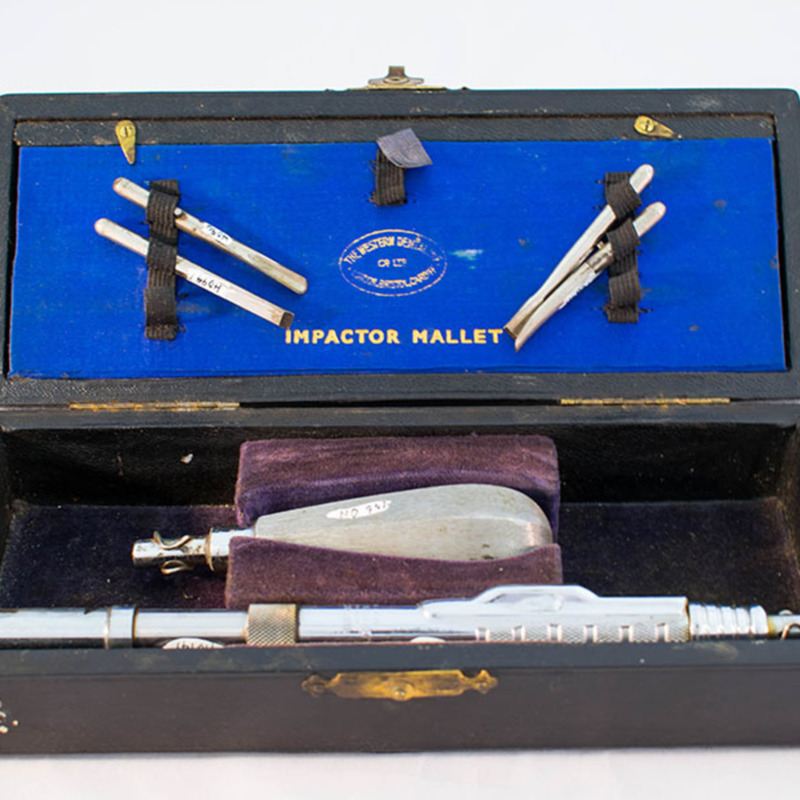 “Surgical Mallet,” Heritage, accessed April 23, 2019, https://heritage.rcpsg.ac.uk/items/show/584. 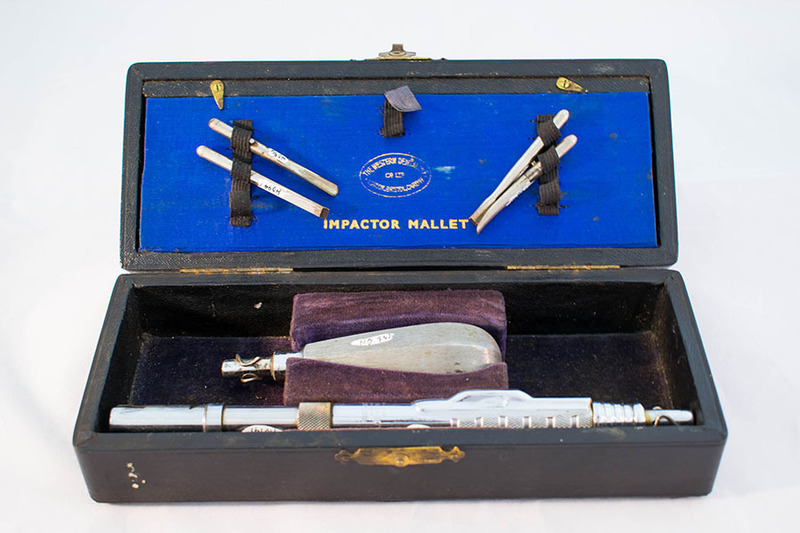 Description: Hand piece with slip joint, non-mechanical hand piece, 5 chisel points, 2 spare springs, 2 sleeves and 1 sheet of rubber. Used for surgical bone and tooth removal.